The Medina Municipal Court in Medina, Ohio is authorized to hear misdemeanor criminal and traffic cases as well as civil cases and Small Claims. The Court’s geographic jurisdiction includes the cities of Brunswick and Medina; the villages of Chippewa Lake and Spencer; and the townships of Brunswick Hills, Chatham, Granger, Hinckley, Lafayette, Litchfield, Liverpool, Medina, Montville, Spencer and York. 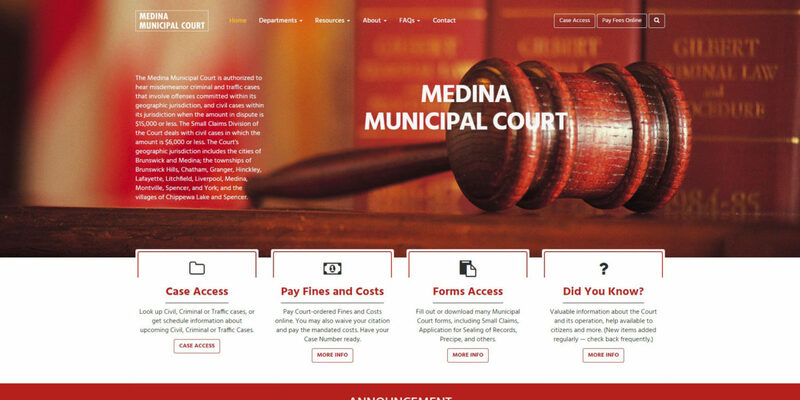 Farris Marketing developed a completely new design and added new functionality for Medina Municipal Court’s website, making it much more attractive and user-friendly. Like all Farris-created websites, it is a responsive website that scales to cell phones, tablets and laptops. 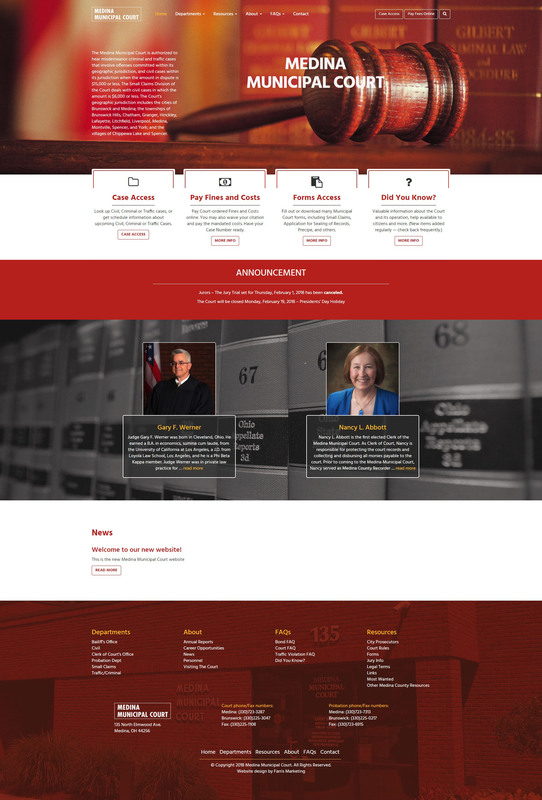 In addition, court officials now have the ability to regularly update materials and information on the site.